Time to get the ‘ol kayaks back into the water! 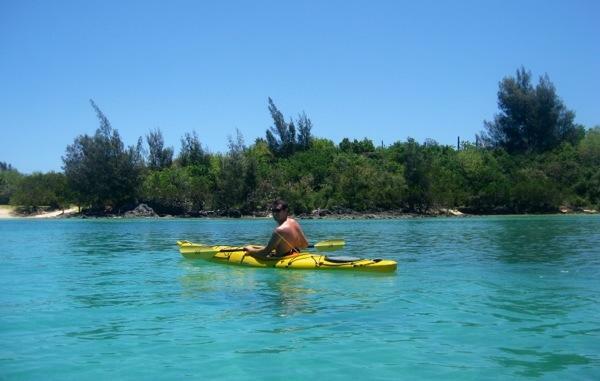 We haven’t paddled since the Bahamas and the clear waters of Bermuda were quite inviting. Through St. George’s Channel we have a nice view of the Town Cut entrance channel, as we paddled around Paget Island and into the open ocean. Too choppy to kayak in the ocean…we turned back after a nice view of St. David’s Head. 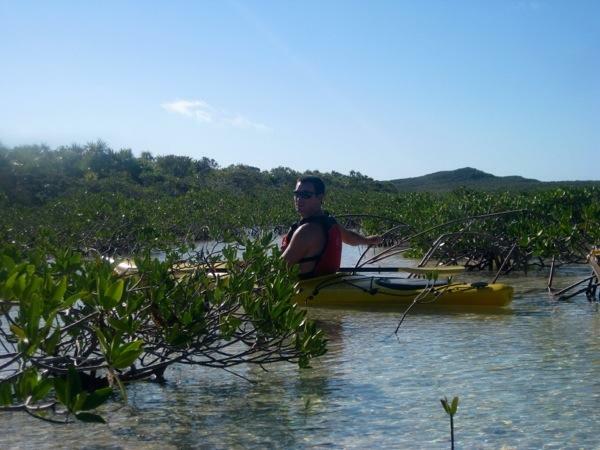 On Paget Island we found a secluded patch of mangroves. 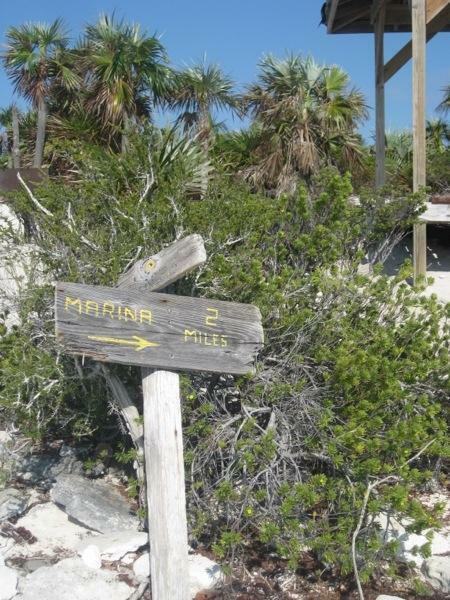 The island is actually used for an Outward Bound program and boaters are not permitted to land. 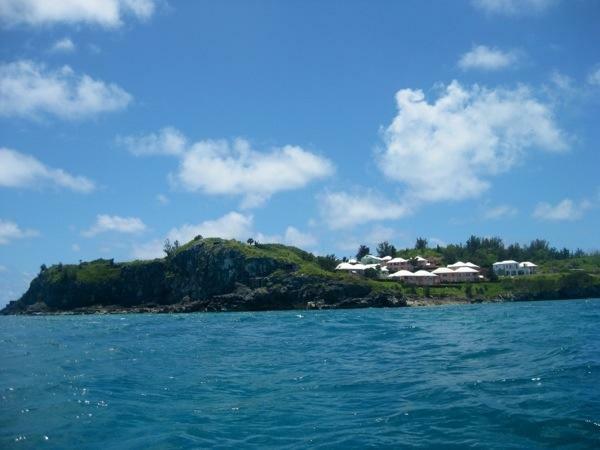 We circumnavigated Smith’s Island and Hen Island on our way back to the boat. 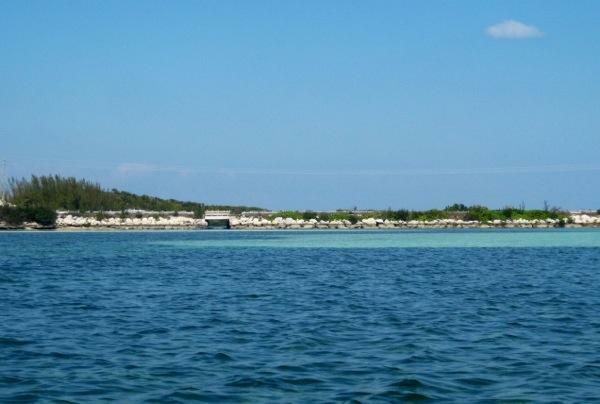 Hen Island is used for scout programs; they presently have camp set up and from Rode Trip we’ve been watching boys diving, swimming, canoeing, and sailing. 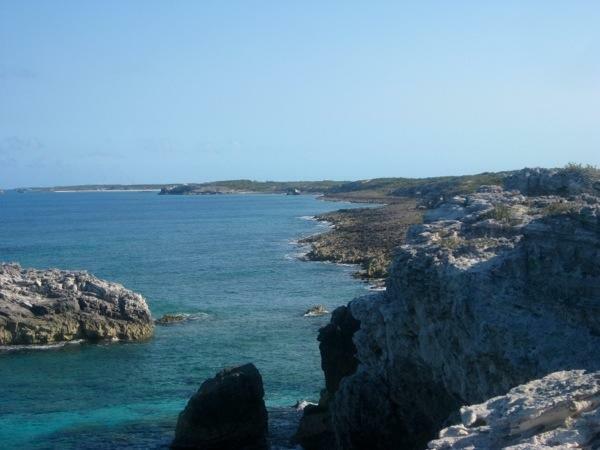 Compass Cay had great exploring potential. 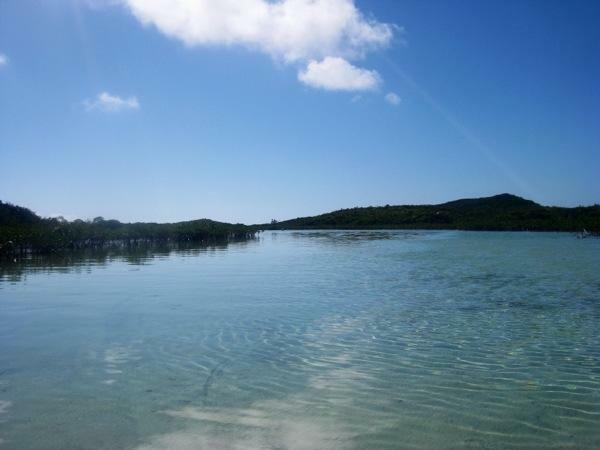 Brian and I got an early start to our day so that we could see all the sights during our one day layover at Compass Cay. 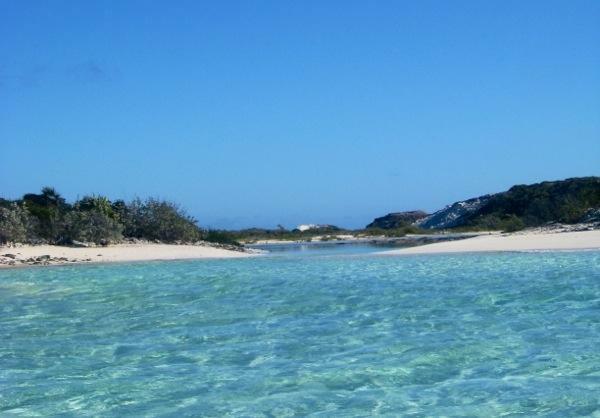 We were in hot pursuit of our friends aboard sv/Por Dos, and so were continuing south along the Exumas attempting to meet them while they remained in Georgetown. 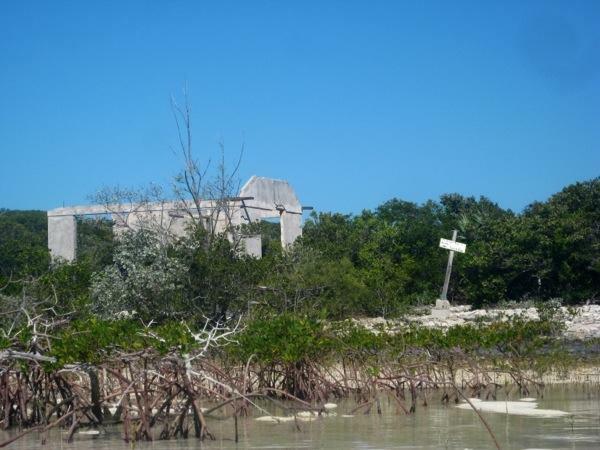 Compass Cay is divided down the center by a tidal stream that runs from the north end through a section of mangroves and connects with a larger creek flowing out the south end of the island. 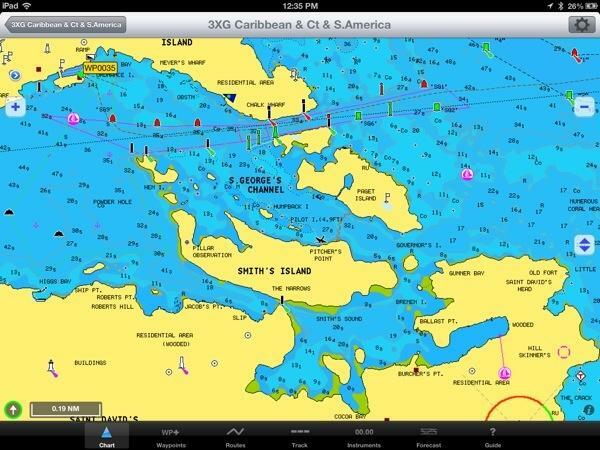 Here’s a screen shot of the island on our chart. We thought it a great place for our kayaks. We headed out about 9:00am and there was just barely enough water to float through the inlet that dries at low tide. 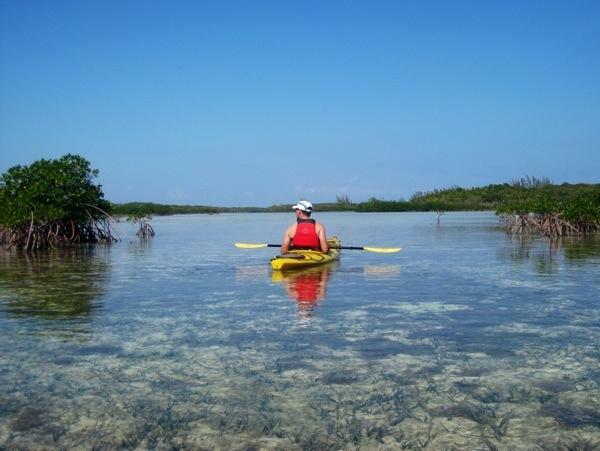 Soon we were out of the kayaks and trudging through the mangroves hauling the kayaks behind. 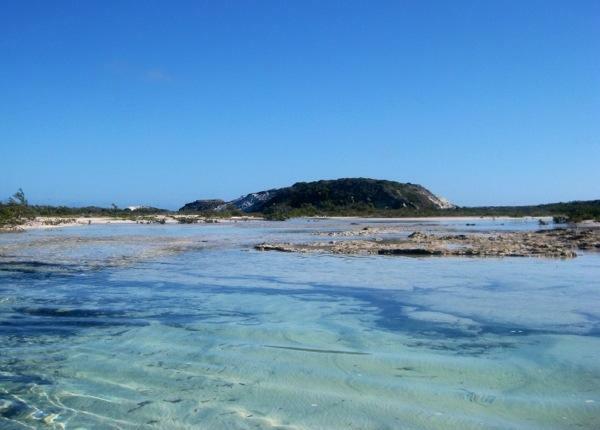 The sand was soft and silted under crystal clear water. We kept a lookout at every step for critters (especially sea slugs). 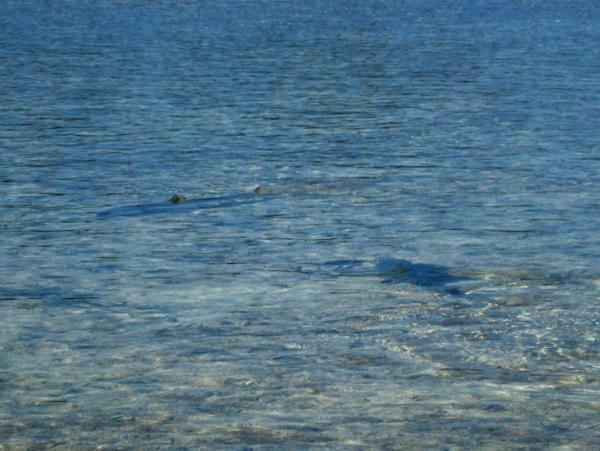 Brian spotted a small shark and a small stingray; we let both swim clear of our intended path before proceeding. 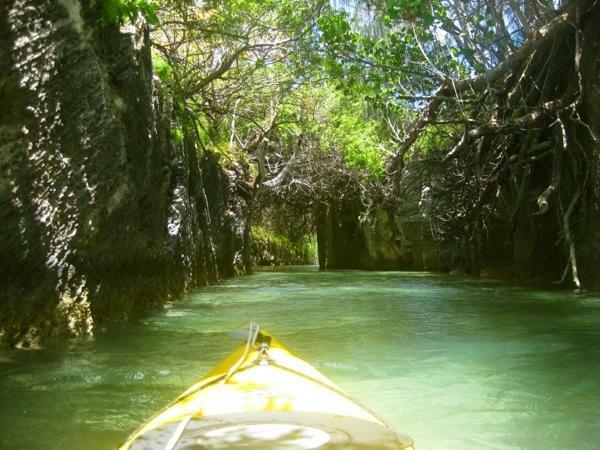 The mangroves were about ankle high and the kayaks got stuck here and there in branches and roots. Several tiny snails hitched a ride when we knocked them from the branches. Finally, after one-mile of trudging (GPS watch tracked), we found water that was just barely deep enough for floating. 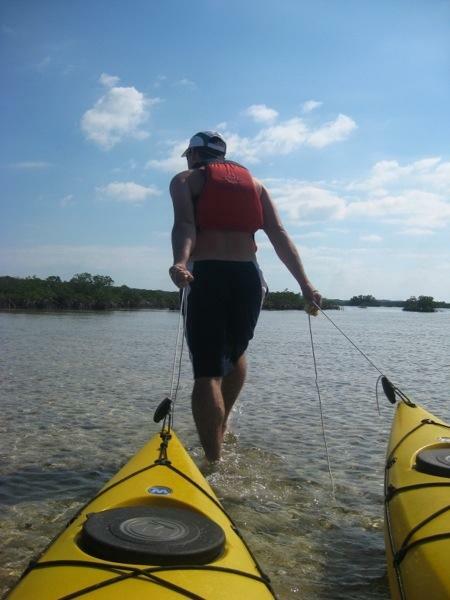 We maneuvered the kayaks over, under, and around the mangroves toward the creek. We spent another mile and one-half paddling down this beautiful, wide open creek. 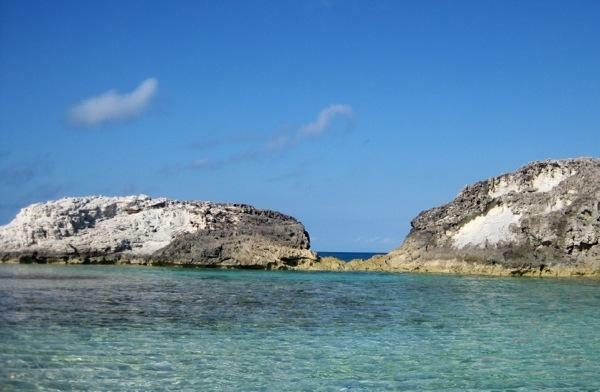 There was nothing but white sand below and often we spotted stingrays. They were not skittish, they were settled into little beds of sand. We paddled past ruins from an old house. And at the south end of the creek we paddled by the Compass Creek Marina and back into the ocean side to complete our trip. 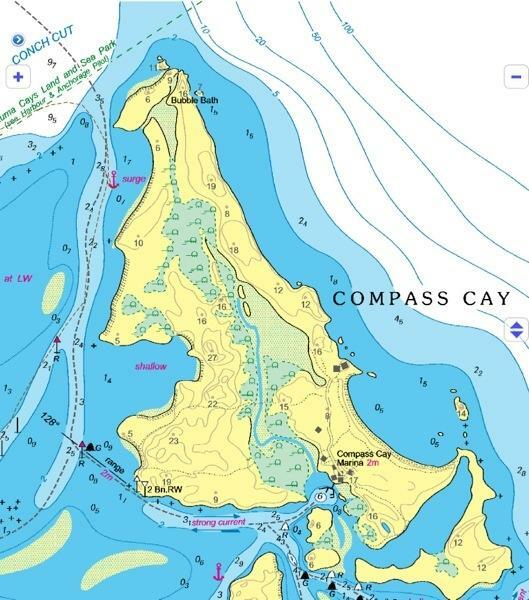 The ocean side gave us a bumpy ride but we enjoyed seeing the contour of Compass Cay. 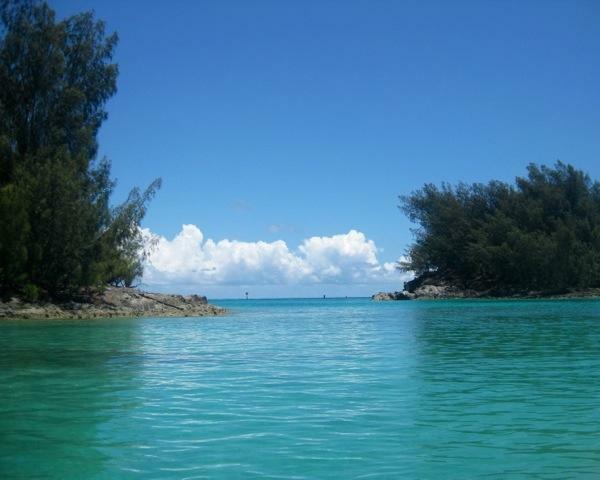 At the end of the day, we took the dingy over to the beach and walked into the inlet we had kayaked earlier. 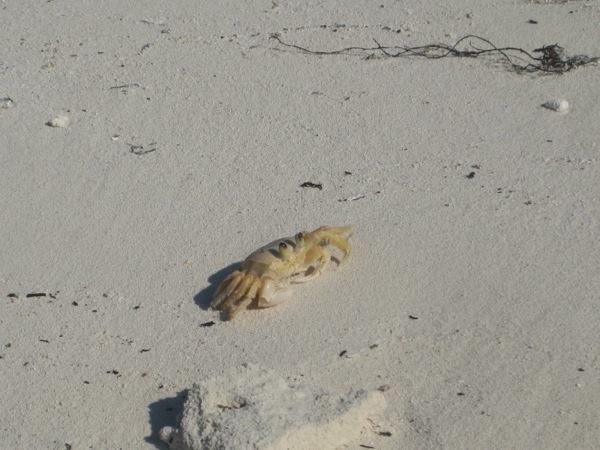 We were greeted by a crab. We walked to the top of the inlet; on the chart this is labeled ‘Bubble Bath’. Fellow cruisers have informed us that this spot is known as Rachael’s Bubble Bath and when there is a northeast wind the ocean waves surge over and leave their foam at the top of the pool. This needed some investigating even though the day did not present bubble bath conditions. We waded to the pool in shallow, warm water. We were cautious to avoid sea urchins. Both black and white urchins were scattered throughout the sand and rocks. The pool was a bit deeper than the stream. Just right for an afternoon bath! We hiked up the side of the pool for a great view of the inlet and anchorage. 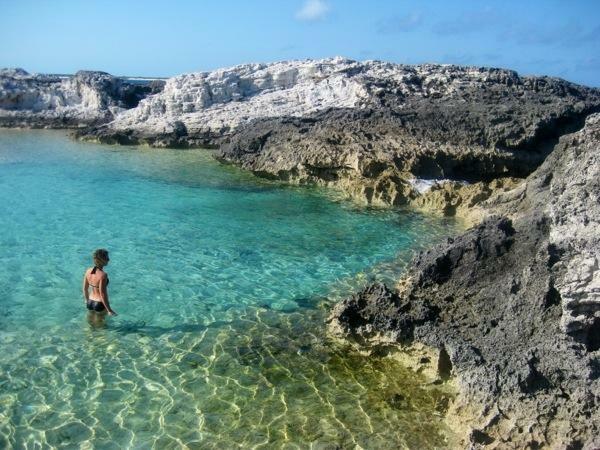 We are anchored on the side of the island called the Exuma Bank. 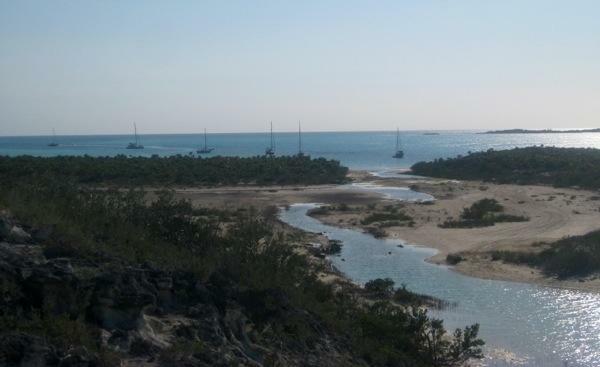 Here is a view of the inlet leading into the mangroves that we trudged through earlier. 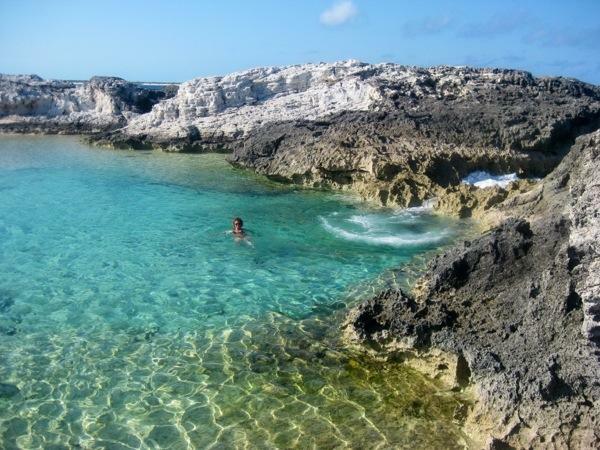 This is the ocean side of the island called the Exuma Sound. 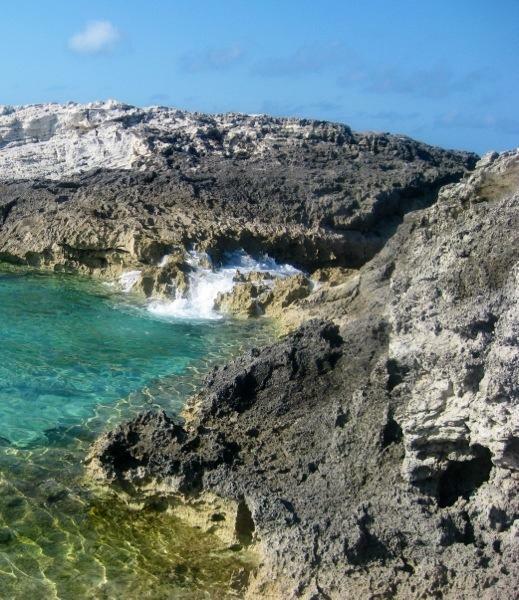 Kayaking, hiking, swimming…oh but there’s more to come at Compass Cay! 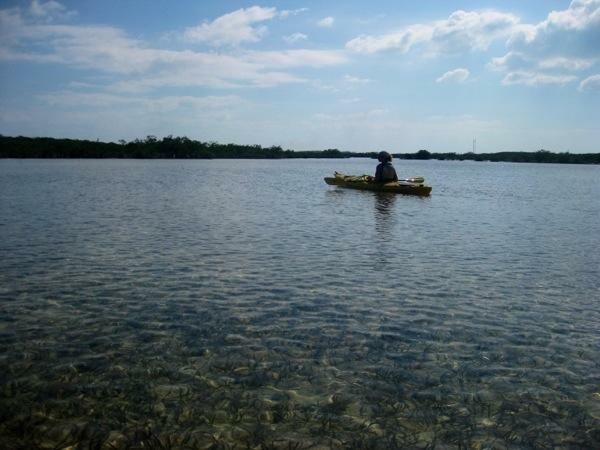 Today we spent several hours exploring in our kayaks as we had a great opportunity to paddle through the tidal flats. 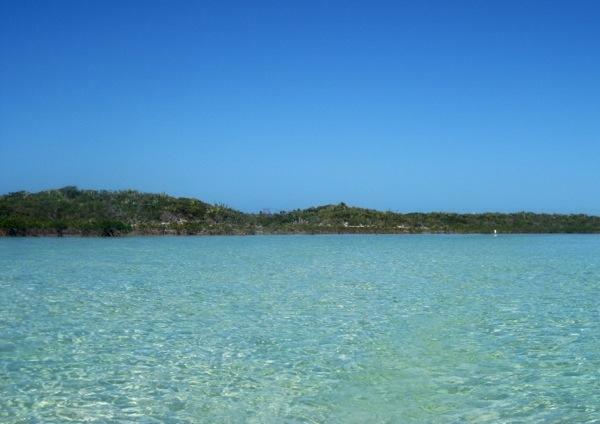 We exited the Great Harbor Cay Marina and paddled across the harbor where we had entered with Rode Trip. There was a narrow bridge on the opposite end of the harbor, under the main road. At the time we were headed out the tide was heading in, so we picked up the kayaks and walked them across the road to get to the other side. 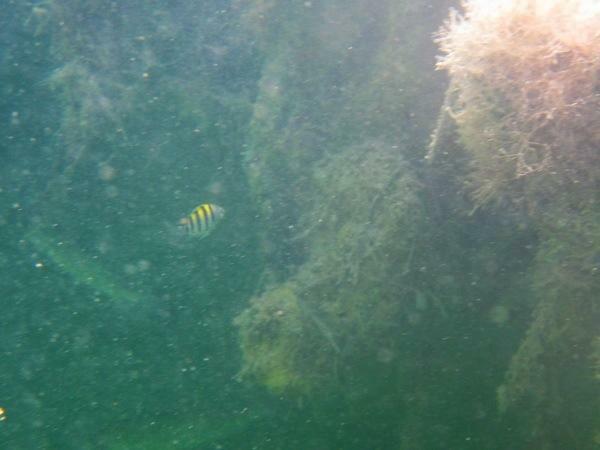 On the other side of the bridge we found ourselves in crystal clear water of varying depths. 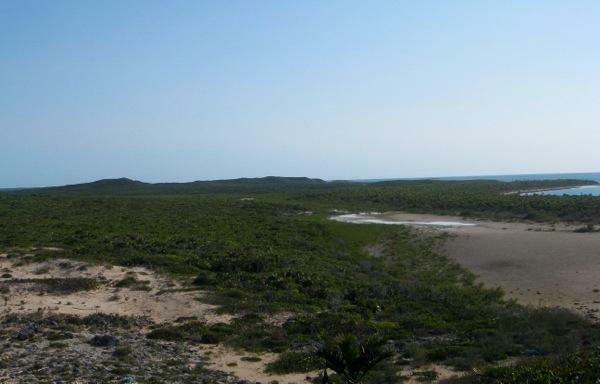 The bottom was white sand and/or grass and scattered throughout were mangroves. We learned how to read the water and seek out the deeper spots so that we wouldn’t bottom out in the sand. It was beautiful, calm, and quiet. The waters seemed to weave for miles and miles. In the shallow, sandy spots we found bonefish. It was so shallow their fins stuck out of the water. They minded their own business and darted away as we floated by. We continued exploring and as we rounded the next bend we found ourselves in a wide open space. After referencing the map we’ve determined that we kayaked to Grass Lake. 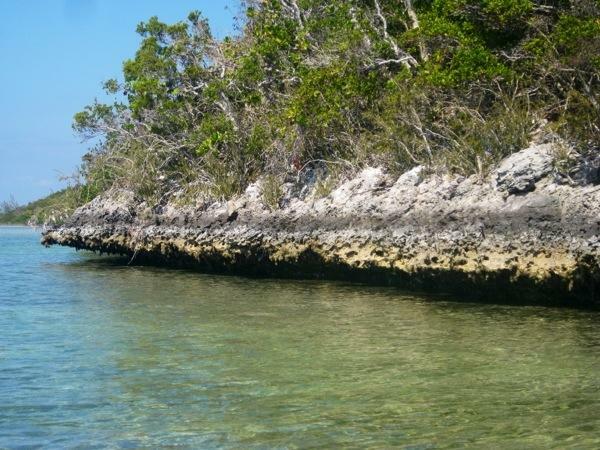 The edges here were lined with old coral reefs topped with mangroves. The water remained shallow, about 3-feet deep, and the bottom was grassy. We found a cut back across to our previous route. There was a bit of current rushing through an opening between the coral lining. Here we turned to cut through and the bottom dropped down, deep, nearly 20-feet! We could see all the way to the bottom of this pool. 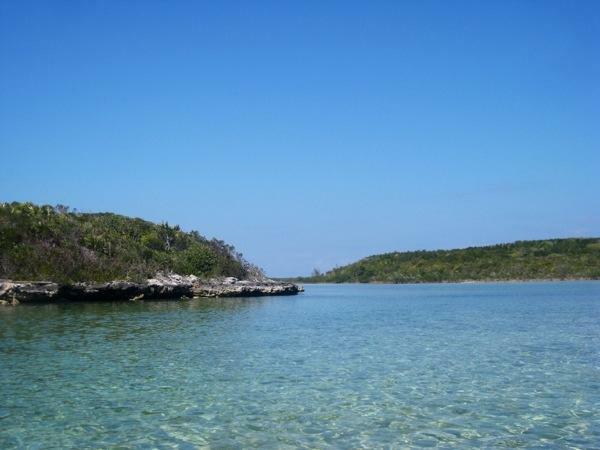 We paddled through to the other side where the pool abruptly ended, banking upward to another white sandy bottom. 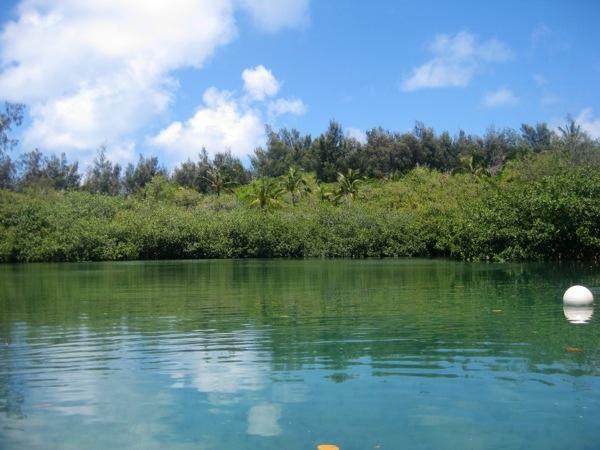 Along this pool we spotted a school of fish swimming through the roots of the mangroves. 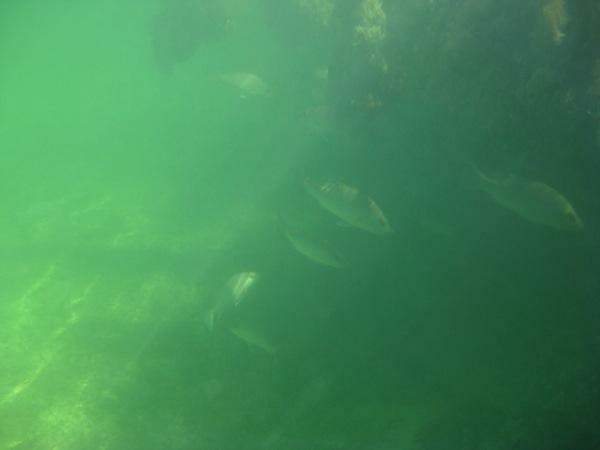 We hovered over the fish for a while just watching, like our own private aquarium. On the way back, we had slightly less water than we started with. My trusty steed pulled us through the shallowest part. 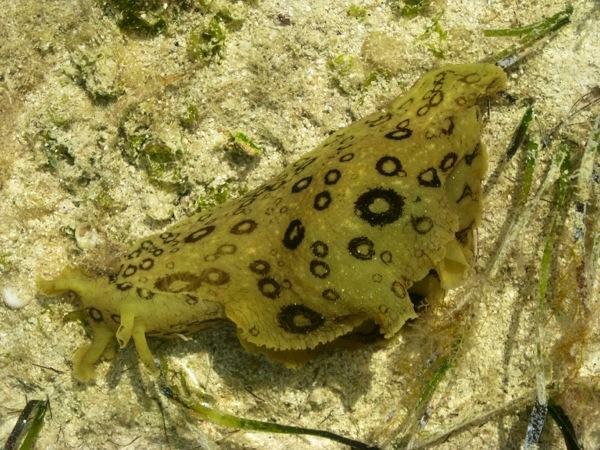 Brian had to carefully watch his step to avoid squishing sea slugs. We kayaked back, and this time got to ride the rapids down under the little bridge. Wheee!